Spacious double room with the view over the stream, park or the mountain base. 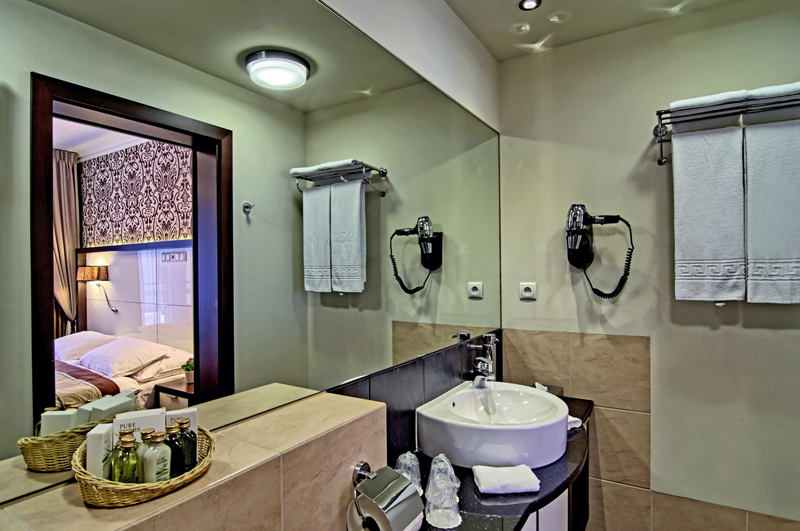 If you search for a room in the mountains which will let you rest after the hardships of the day, we invite you to choose our Classic Room offer at the Czarny Potok hotel. 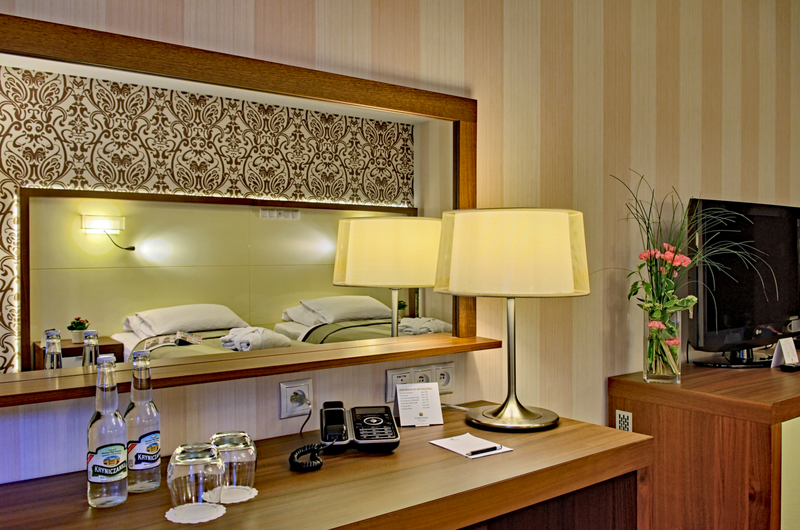 You can choose between a single and a double room, equipped with all conveniences necessary during the stay at the hotel – comfortable beds, air-conditioning or wireless Internet. 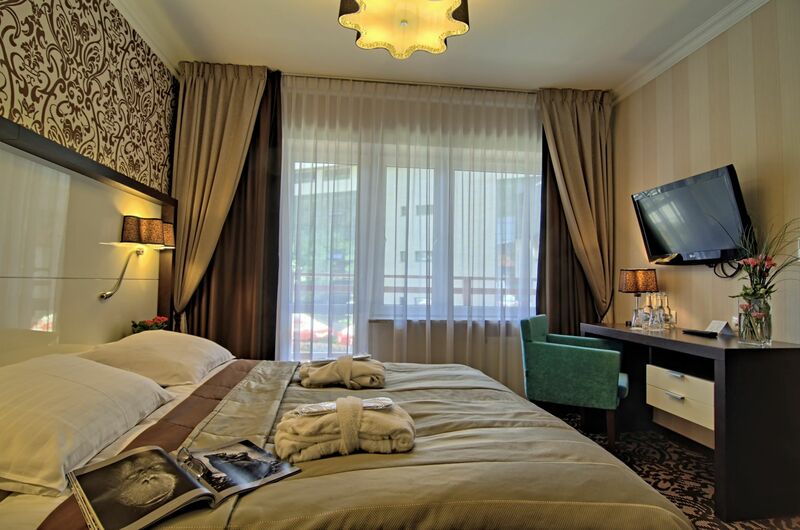 Elegant interior of the rooms combined with the views outside the window will make your stay at Krynica-Zdrój a definite success! Room equipment: wireless Internet, mini bar with a welcoming set, coffee set, TV, air-conditioning, safe, desk with two chairs, fitted carpet, hairdryer, set of cosmetics, towels, dressing gowns, needle-case as well as shoe-cleaner. In the Classic Room there is 1 additional bed.